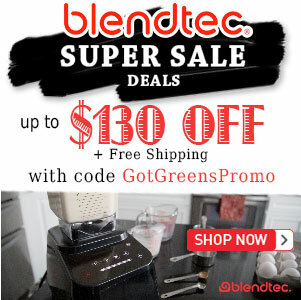 Vitamix 750 Review and Comparison - Got Greens? The long anticipated Vitamix Professional Series 750, the ultimate in performance blending was released in 2012. It is the same blender as the » Vitamix 7500 but with the addition of pre-programmed blending cycles. If you are looking for a blender with the more power, more features, a great warranty, and at a lower price than the Ascent Series then look no further. We are proud to present the Vitamix 750 best prices. 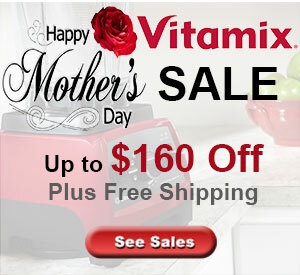 Order your Vitamix Pro 750 with Free Shipping and more. Don’t want or need the presets? The Vitamix 7500 is the same blender without the blend cycles for a lower price. With the Vitamix Pro 750 you receive the best of all worlds. Complete control over all of your blending needs plus the convenience of pre-set blending cycles for your regular blends. Add to this, Vita-mix’s latest design of the low profile 64 oz container to fit under most kitchen cabinets and there is nothing more you could desire from a blender. As if the time-tested, award-winning Vitamix motor wasn’t good enough, the 750 comes with the next generation motor improvements. Following in the footstep of the dependable Commercial blender models, the Pro 750 kicks it up to 13 amps and keeps the cooling power of the radial fan running continuously while using the blender. The new motor also has been designed with additional vibration dampening technology resulting in a Vitamix that makes 40 percent less noise than previous models. Perhaps one of the most common critiques of the Vitamix Pro 500 was that it was too tall to fit under most kitchen cabinets. Now, with the newly designed 64 oz BPA-Free container, the Vitamix Pro 750 is slightly over 17 inches tall and fits under most kitchen cabinets. Not only is the new container shorter but it even more efficient with a wider base and larger blade. As with all Vitamix containers you can fill this one to the top and blend with confidence. One of the features that made the Professional 500 a big hit was the addition of 3 pre-programmed blending settings. The Vitamix Pro 750 has those 3 settings and adds 2 additional common blending tasks. Now you have settings for Smoothies, Frozen Desserts, Soups, Purees, and Cleaning. While the 5 pre-sets are incredibly convenient for the most common blender tasks, the Vitamix 750 retains the ever popular Variable Speed dial. Even the variable speed control has been improved allowing for complete blending speed control for creating most any dish. Like the Professional 500, the 750 retains the pulse function. Included with your Vitamix Professional 750 (1825) blender is a new tamper, a Create Recipe book, the Getting Started guide and a tutorial DVD with Chef Michael Voltaggio. The Ascent Series Vitamix A3500 is the latest and greatest from Vitamix. 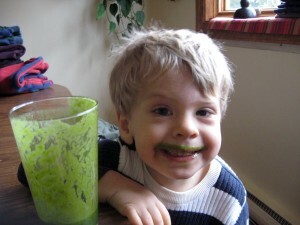 It comes feature complete and includes all the bells and whistles that Vitamix has to offer. In comparing the 750 with the A3500, the A3500 essentially has everything the Vitamix 750 has to offer and more. It includes flat touch controls and a digital readout. Plus it has a programmable timer. Other upgrade differences include the clear-top Self-Detect blending containers and a 10-year warranty vs the 7-year warranty of the 750. See our complete » Ascent Series Review for more details. The Vitamix Pro 750 and 7500 are essentially the same blenders with regard to features and function. The only real difference is in the automated blending cycles. 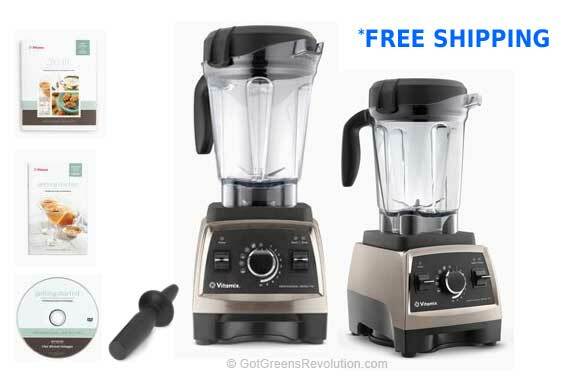 If you don’t need or want to pay the extra cost for the 5 program cycles of the 750, consider the Vitamix 7500 which is the same blender without the pre-sets. The Pro 500 was the first blender to include presets. The Pro 750 is a major improvement in that it now has the more powerful, quieter motor as well as the improved 64-oz container and the addition of 2 more pre-programmed blend cycle selections.